In their Reception Year, as part of the Early Years Foundation Stage (EYFS), children work towards the 17 Early Learning Goals listed below. 1. Children play co-operatively, taking turns with others. 2. They take account of one another’s ideas about how to organise their activity. 3. They show sensitivity to others’ needs and feelings. 1. Children are confident to try new activities. 2. They can say why they like some activities more than others. 3. They are confident to speak in a familiar group. 4. They will talk about their ideas. 5. They will choose the resources they need for their chosen activities. 6. They say when they do or don’t need help. 1. Children talk about how they and others show feelings. 2. Children talk about their own and others’ behaviour and its consequences and know that some behaviour is unacceptable. 3. They work as part of a group or class and understand and follow the rules. 4. They adjust their behaviour to different situations. 5. They take changes of routine in their stride. 6. Maintains attention, concentrates and sits quietly during appropriate activity. 7. Two-channelled attention – can listen and do for short span. 1. Children listen attentively in a range of situations. 2. They listen to stories, accurately anticipating key events and respond to what they hear with relevant comments, questions or actions. 3. They give their attention to what others say and respond appropriately, while engaged in another activity. 1. Children follow instructions involving several ideas or actions. 2. They answer ‘how’ and ‘why’ questions about their experiences and in response to stories or events. 1. Children express themselves effectively, showing awareness of listeners’ needs. 2. They use past, present and future forms accurately when talking about events that have happened or are to happen in the future. 3. They develop their own narratives and explanations by connecting ideas or events. 1. Children show good control and co-ordination in large and small movements. 2. Children move confidently in a range of ways, safely negotiating space. 3. They handle equipment and tools effectively, including pencils for writing. 1. Children know the importance for good health of physical exercise, and a healthy diet and talk about ways to keep healthy and safe. 2. They manage their own basic hygiene and person needs successfully, including dressing and going to the toilet independently. 1. Children read and understand simple sentences. 2. They use phonic knowledge to decode regular words and read them aloud accurately. 3. They read some common irregular words. 4. They demonstrate understanding when talking with others about what they have read. 1. Children use their phonic knowledge to write words in ways which match their spoken sounds. 2. They also write some irregular common words. 3. They write simple sentences which can be read by themselves and others. 4. Some words are spelt correctly and others are phonetically plausible. 1. Children count reliably with numbers from 1 to 20. 2. They place them in order. 3. They say which number is one more or one less than a given number. 4. Using quantities and objects, they add and subtract two single-digit numbers and count on or back to find the answer. 5. They solve problems, including doubling, halving and sharing. 1. Children use everyday language to talk about size, weight, capacity, position, distance, time and money to compare quantities and objects and to solve problems. 2. They recognise, create and describe patterns. 3. They explore characteristics of everyday objects and shapes and use mathematical language to describe them. 1. Children talk about past and present events in their own lives and in the lives of family members. 2. They know that other children don’t always enjoy the same things, and are sensitive to this. 3. They know about similarities and differences between themselves and others, and among families, communities and traditions. 1. Children know about similarities and differences in relation to places, objects, materials and living things. 2. They talk about the features of their own immediate environment and how environments might vary from one another. 3. They make observations of animals and plants and explain why some things occur, and talk about changes. 1. Children recognise that a range of technology is used in places such as homes and schools. 2. They select and use technology for particular purposes. 1. Children sing songs, make music and dance, and experiment with ways of changing them. 2. They safely use and explore a variety of materials, tools and techniques, experimenting with colour, design, texture, form and function. 1. Children use what they have learnt about media and materials in original ways, thinking about uses and purposes. Jolly Phonics: We will begin to introduce the Jolly Phonics scheme this week. Please help your child to learn the sound (and associated action) that each letter or combination of letters makes and to practise forming the letters if they wish. Each week we will send home sheets to support your child’s learning of these letter sounds (there is no need to return them). In addition the sounds will be written in their ‘sound book’ to practise at home. Please return the ‘sound book’ every day in the book bag. Reading Books: When children are ready, they will begin to bring home a reading book - we use the Oxford Reading Tree phonic reading scheme. 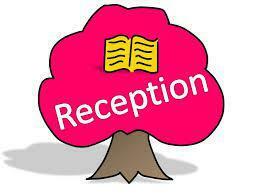 Further information about supporting reading and arrangements for returning books will accompany your child’s first book home. Sharing book: Please return this book every day with any relevant comments. It is checked by the TA each day. Please let us know if your child is being collected by someone other than a parent or is attending an afterschool club. Name labels: To avoid loss, please name all items of clothing. Birthday Assembly: Together with Years 1 and 2, we have a Birthday Assembly every Monday. Children who have had a birthday in the preceding week are invited to bring in any presents they have received, to show the other children. Celebration Assembly: Held on Fridays (from the beginning of term 2), this is an opportunity for children to share their successes with the rest of the school. Please send in any certificates, medals or trophies your child may have earned taking part in out-of-school activities. Show and Tell: The weekly letter will be sent home in book bags at the start of each week. It may contain suggestions for ‘Show and Tell’. Children will be invited to bring in items that support their learning on any day of the week, and these will be shared at snack time. Packed Lunch: It is school policy that there should be no nut products in packed lunches, for example ‘Nutella’ or some cereal bars. Snack: Free fruit is supplied by KCC to all children in KS1 and will be offered to children at snack-time (10am).